China’s Rise is a Fact. How will Taiwan Cope? It amazes me that you could maintain two websites by yourself.What is the difference between The China Desk and Dateline Taipei?It’s been very interesting reading your blog, a source of my understanding about the people of the island. Dear Taikor, It’s not as hard as you might think. The China Desk is my own original writing. 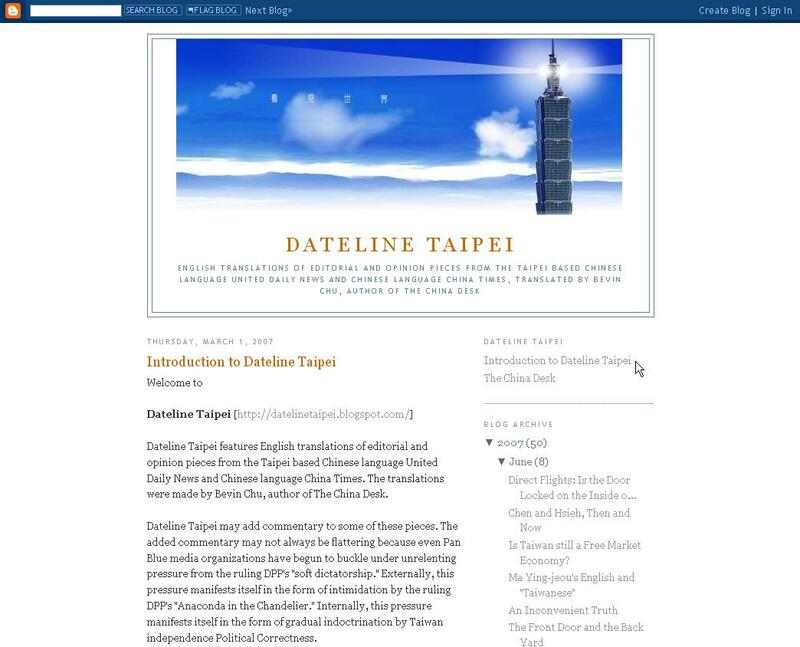 Dateline Taipei is translations of others’ writings. Specifically, United Daily News and China Times editorials. I do the translations myself. I also add my own commentary at times if the mood strikes me.